Editor’s Note: If you saw your cousin, your brother, your sister, your uncle and your aunt get run over by an 18-wheeler every time one of them tried to cross a six-lane interstate, then you probably wouldn’t attempt to cross that interstate yourself. 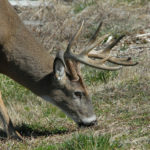 Just like you’d learn not to play in traffic from observing what happened to your family on the interstate, older bucks with large racks and heavy body weights learned at an early age that if they went into a green field during hunting season in the daytime, more than likely they never would leave the green field. But most hunters plant green fields to grow bigger bucks and think they’ll bag them at the green fields. 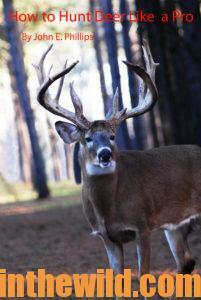 Here’s the reality –the mature bucks will become nocturnal first. 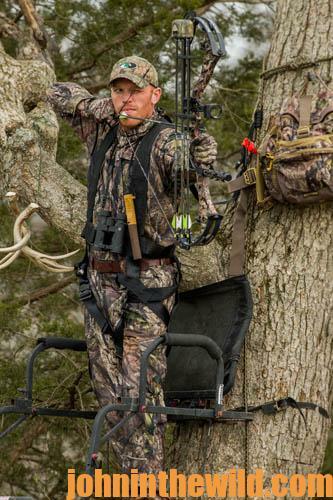 Because younger bucks haven’t learned the danger that awaits them in the green fields, hunters who sit in shooting houses over green fields have noticed they generally take smaller, younger bucks than hunters do in stands 50- to 200-yards away from those green fields. Now scientific evidence proves the truth of this assumption. 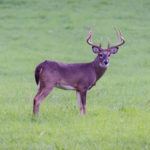 Researchers learned that on every food plot on the property, the deer spent most of their daylight hours 200- to 210-yards away from the green fields. 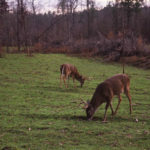 Besides hunting pressure, Woods suggested that habitat also could play a key role in how far the deer stayed away from the green fields in the daytime. 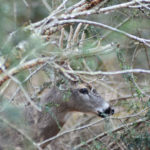 Because most of the deer spent their daylight hours about 200-yards away from the green fields, the hunters would have taken more and bigger bucks if they’d gotten out of the condo stands and hunted at least 100-yards away from the green fields. 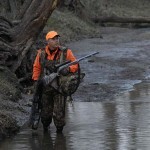 “The hunters could have hung tree stands or developed ground blinds 100 yards from where the deer were bedding during daylight hours to have an opportunity to take those deer as they came off the green fields in the morning and headed back toward their bedding area, or late in the afternoon catch the deer coming from their bedding areas going to the green fields for their nightly feedings,” Woods explains. The members of this hunting club found sitting on the green fields unproductive, except that they did harvest young bucks and does. 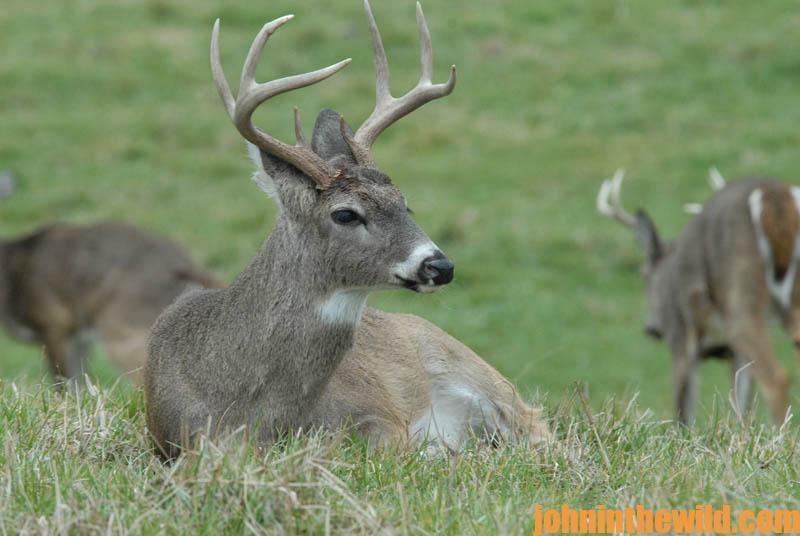 “Although this pattern of deer movement was due to the particular habitat condition of these deer, the trend of older bucks not going to green fields during daylight hours should hold up, regardless of habitat type,” Woods says. 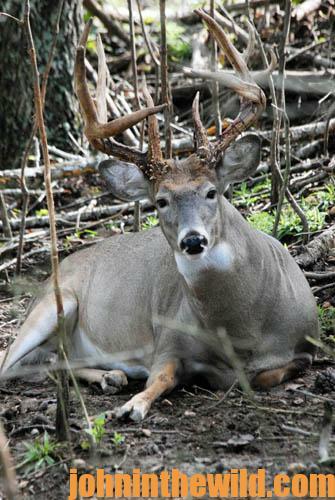 From Woods’s research, we can see that green fields often act as deterrents to big bucks instead of drawing cards for them because of the hunting tactics the hunters use that prevent these bucks from utilizing these fields during daylight hours. 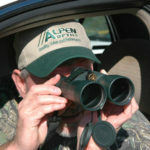 To learn more about hunting deer, check out John E. Phillips’ book, “How to Hunt Deer Like a Pro” at https://www.amazon.com/dp/B007D3H08M that’s available in Kindle, print and audio versions.